Dragon Medical Practice Edition and Neurology | Advanced Medical Inc.
and the cost of documentation. Dragon Medical Practice Edition 2 is the next generation of speech recognition technology, allowing Neurologists to record every component of the neurological examination. 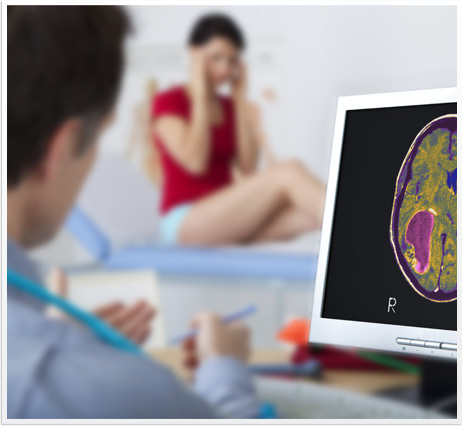 Assessment of the patient’s cognitive function, cranial nerves, motor strength, sensation, and reflexes can all be dictated and transcribed with accuracy and speed using Dragon Medical software. There is no disorder, procedure, or terminology too complex for the intuitive capabilities of Dragon Medical technology. Now you can create research notes and patient records for common conditions like headaches, stroke, dementia, and seizures, or more complex subspecialties like brain injury, clinical neurophysiology, and neuromuscular disabilities. With Dragon Medical Practice Edition 2, Neurologists can speak in their own words to create clinical documentation, communicate with referring physicians, establish a more efficient workflow, and enjoy a more profitable practice. Just imagine the time you will save by eliminating the frustration of repetitive mouse clicks and typing. From the physical to the neurological exams, Dragon Medical Practice Edition 2 empowers Neurologists to streamline their workflow and document accurate and complete patient records even for the most complex conditions all by voice. 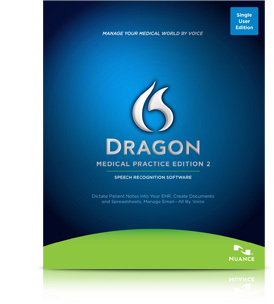 With over 90 specialty and subspecialty vocabularies that cover over 50,000 medical terms, Dragon Medical Practice Edition 2 offers Neurologists a new level of speech recognition support. With a faster engine and expanded Neurology vocabularies, you can create speech-to-text documents three times faster than typing, with more than 99 percent accuracy, even on the first use. Dragon Medical Practice Edition 2 helps Neurologists become more efficient in their practice, fulfill stage 2 Meaningful Use criteria within their EHR, and achieve higher reimbursement levels more quickly. Make an investment in your practice that delivers a real ROI. In clinical settings, Dragon Medical Practice Edition 2 is over 20% more accurate than the previous version and — and over 60% more accurate than Dragon Professional 12 when used in clinical settings. Accented speakers get higher “out-of-the-box” recognition with advanced adaptation techniques and accent-specific acoustic models.